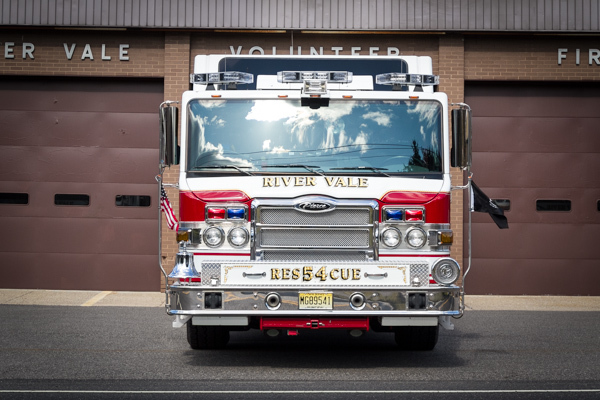 Rescue 54 rolls out of the South Firehouse, has many functions and is equipped to handle several different types of calls. The rescue is first due to any accident or rescue call. It carries six firefighters in the back, plus a Lieutenant who rides up front with the chauffeur. 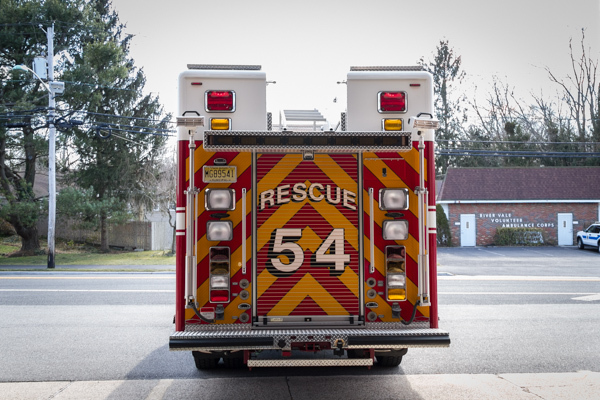 54 can operate at a motor vehicle accident where the occupants may be entrapped and can perform stabilization and extrication on the vehicle(s) as needed. In addition, it also carries an air bottle refilling station on board. The Night Scan telescoping light tower mounted on the roof can light up a scene at night. 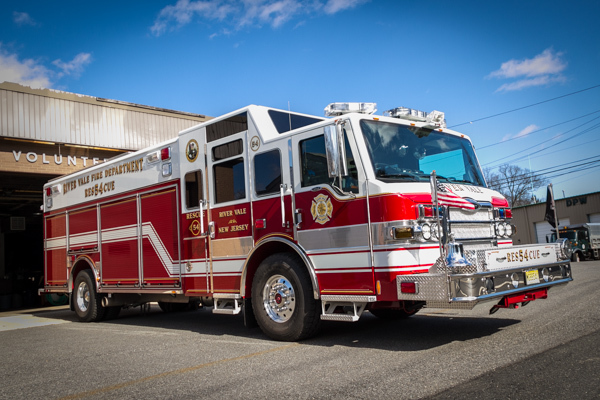 If there is a large fire in any of the surrounding towns, Rescue 54 would be dispatched to serve as the FAST (Firefighter Assist and Search Team) assignment, meaning our team would go to stand-by at a scene and go to work immediately should any firefighters get hurt, trapped, or go missing. Finally, this apparatus carries and supports the swift water rescue team. This team is involved in rescuing victims in water emergencies such as flooding.